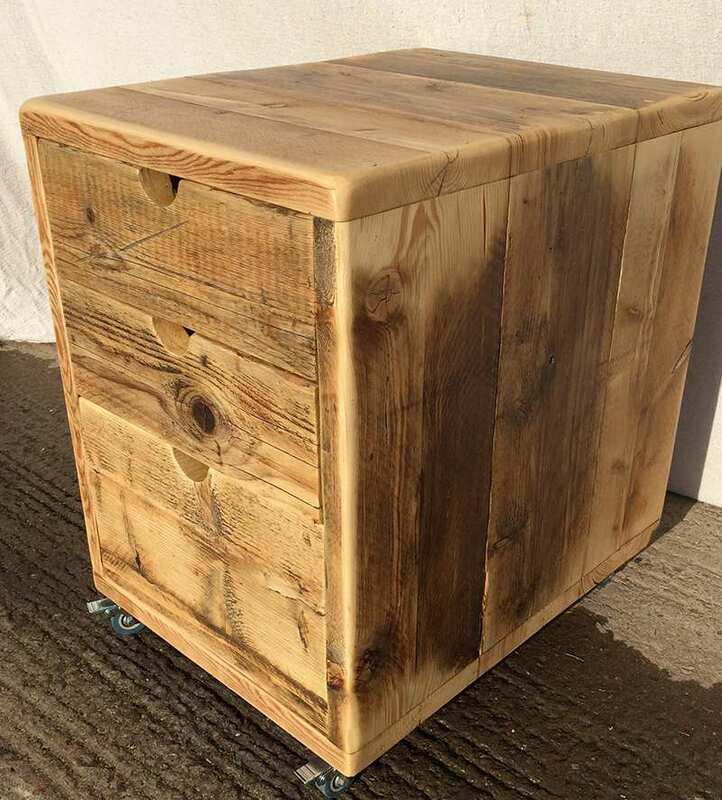 Filing cabinets / pedestals made from reclaimed wood. These filing cabinets work well with our reclaimed wood computer desks and the height can be altered to either fit underneath the desk or sit alongside it. They could also be integrated into one of the desk legs. 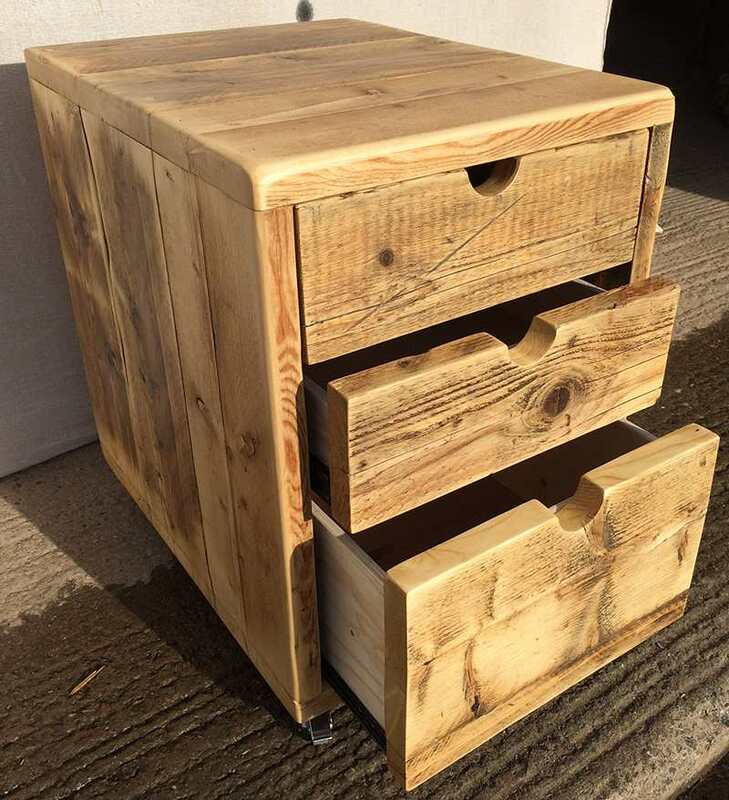 Filing cabinets made from 35mm thick pine boards. These units come with three drawers and are on lockable wheels as standard. The drawer mechanism is made with heavy duty full extension ball race runners. The pictured example is 650mm deep and 750mm high (to match a desk), although the dimensions can be changed as these are made to order. The back is left open as standard, but if the back of the unit is going to be visible you may want a reclaimed wood back (see photos). This would be an extra £40. 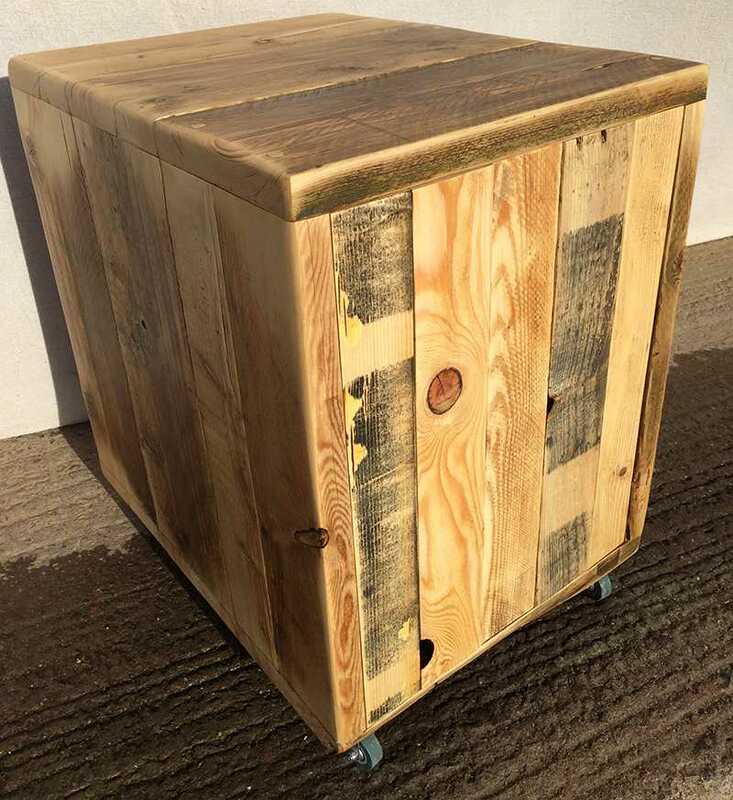 We make these to order so please get in touch using the contact form with your ideal dimensions and features, so that I can provide you with a quote and delivery timescale.